I like the extra length of these tees, and a great price for a large bag. 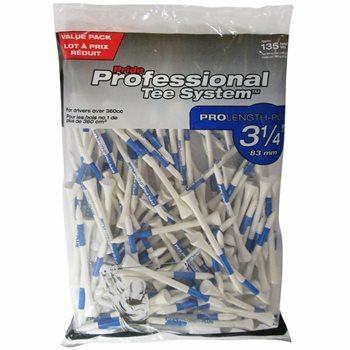 Golf Pride make some the best tees that l have ever used.This particular brand I really like using them during the winter because the ball seems to come off tee better than any other tees that I’ve used in the past. A little more expensive - but worth it. I normally break every tee I use, but these are heavy duty. One tee lasted me the whole round of golf. Really Happy!! !